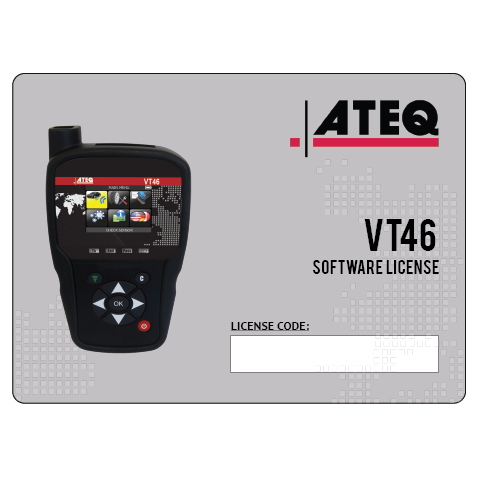 VT46은 TPMS 센서 활성화, 프로그램 및 ECU 리셋이 가능한 다목적 TPMS TOOL입니다. 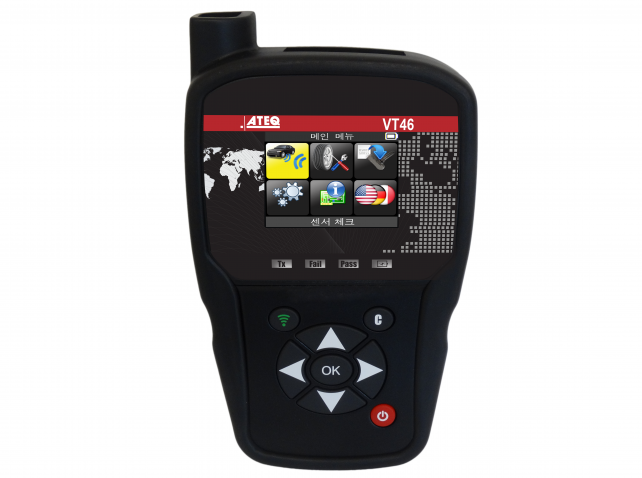 VT46은 TPMS 관련 필수 기능이 탑재된 경제적인 TPMS TOOL입니다. 타이어샵에서의 사용을 기반으로 설계된 VT46은 TPMS 작업시 컬러 인터페이스 화면을 제공합니다. 그리고 OBDII를 이용하여 2분안에 TPMS 재학습이 가능합니다. 또한 주요 프로그램 센서를 지원하며 소프트웨어 업데이트를 통해 최신 차량의 TPMS 센서를 인식할 수 있습니다. 언어 지원 23 languages: English, German, Italian, French, Spanish, Chinese, Croatian, Czech, Danish, Dutch, Finnish, Hebrew, Hungarian, Korean, Norwegian, Polish, Portuguese, Russian, Romanian, Slovak, Slovenian, Swedish, Turkish. 센서 지원범위 All OE sensors worldwide and most aftermarket sensors including Schrader EZ Sensor, Alcar by Schrader, Alligator Sens-it, Continental Redi Sensor, John Dow DVT, Hamaton U-Pro, T-Pro and EU-Pro, Huf IntelliSens, Italmatic Italsensor, Mobiletron, Orange Universal, and DirectFit. 많은 아시아 및 유럽 차량의 경우 TPMS 재학습시 OBD2 모듈이 필요합니다. 별도의 재학습 시스템이 없는 차량은 OBD2 모듈을 통해 TPMS 데이터를 재설정 하고 경고등을 소거할 수 있습니다. 모든 센서를 인식한 다음 OBD2 모듈을 차량에 연결하고 센서 ID를 차량으로 전송하십시오. 자세한 정보 VT46 기능, 사양 및 기타 기능을 포함합니다.